A delicious tuna sandwich alternative without losing any of the flavour! Enjoy! Pre heat your oven to 375. Mix together tuna, scallions, celery, avocado, greek yogurt and mustard. Take your zucchini and halve it length-wise and scoop out the center of it. 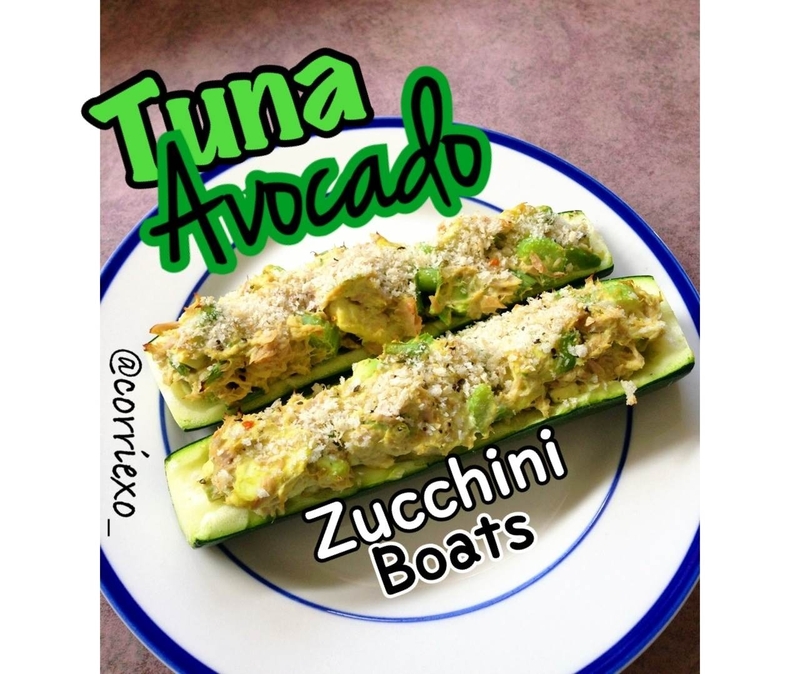 Place tuna in the center of zucchini and sprinkle with whole wheat bread crumbs (if desired), salt and pepper. Cook in the oven for about 10 minutes. Let cool and enjoy a very green lunch!